On Monday Laraine and I were at the Saints Stadium in St Helens to meet the new Creative People and Places consortium. The Heart of Glass programme has been awarded £1.5M from Arts Council England. It is being led by the Saints Community Development Foundation in St Helens, which will use both Rugby League and glass – two strong cultural identities of the town – as starting points to create arts experiences to inspire local people. It is great to see how importantly the role of existing amateur arts groups is being considered by all the Creative People and Places consortia in their three-year programmes to increase engagement in the arts. Alan Davey, Chief Executive, Arts Council England, said: “Creative people and places is unique because, for the first time, the doors are thrown wide open to communities, and, amongst others, to amateur and voluntary groups. We’re asking them to get involved in creating arts activities they know they’ll enjoy. There are some great ideas coming through which I hope will really whet the appetites of people who, up to now, haven’t felt the arts are for them.” On Tuesday Laraine and I talked to the St Helens consortium about how best to involve amateur arts groups in their programme, the potential for our Up for Arts project with BBC Radio Merseyside to support planned activities in St Helens, and the lessons that can be learned from the experience of our RSC Open Stages project. On Wednesday Daniel, Hamish and I were at the Arts Council of Wales in Cardiff to meet Diane Hebb and Jackie Brown. We talked about the Voluntary Arts Wales departmental plan, the thinking behind the new Voluntary Arts Strategic Plan 2014-17, the work the Arts Council of Wales is funding to develop the take-up of our Running Your Group online information services in Wales and the funding ACW has just granted to support the creation of a website for the Summer of Stories 2014 initiative developed by the Storytelling in Wales group. We also discussed the Epic Awards scheme and Voluntary Arts Week and how we might develop these further in Wales. Diane emphasised that ACW recognises the valuable role Voluntary Arts Wales plays in relation to the amateur and voluntary arts sector. 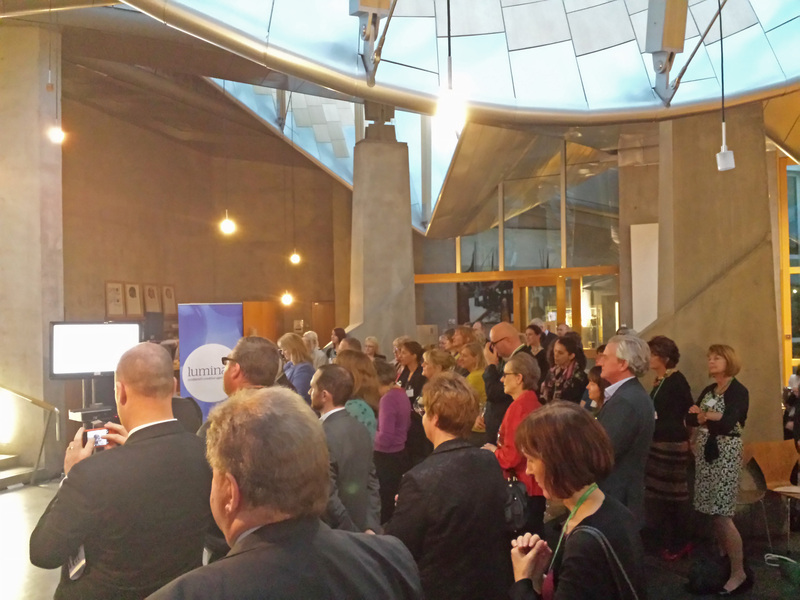 On Tuesday evening I was in the Garden Lobby at the Scottish Parliament in Edinburgh to attend the Age Scotland Awards. Age Scotland Chief Executive, Brian Sloan, explained that Tuesday was chosen for the awards ceremony as it was International Older People’s Day as well as being the first day of the 2014 Luminate Festival – Scotland’s Creative Ageing Festival which Age Scotland runs in partnership with Creative Scotland and The Baring Foundation (see: www.luminatescotland.org). The Age Scotland Awards honour people and organisations working for and with older people in Scotland and include awards for campaigning, partnership working and ‘volunteer of the year’. I was delighted to see the final award, for ‘Member Group of the Year’, presented to an arts organisation. 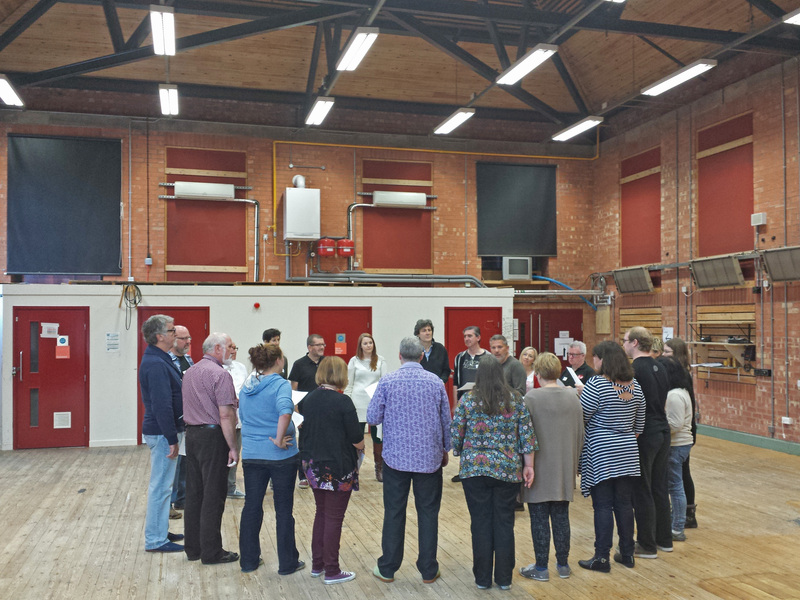 Citadel Arts Group specialises in developing plays from the memories of old people. This excellent group performed at the Voluntary Arts Scotland parliamentary reception at the Scottish Parliament last year. The Age Scotland Awards ceremony was moving and inspiring – a great celebration of older people (see: http://www.ageuk.org.uk/scotland/get-involved/age-scotland-awards-2013/). 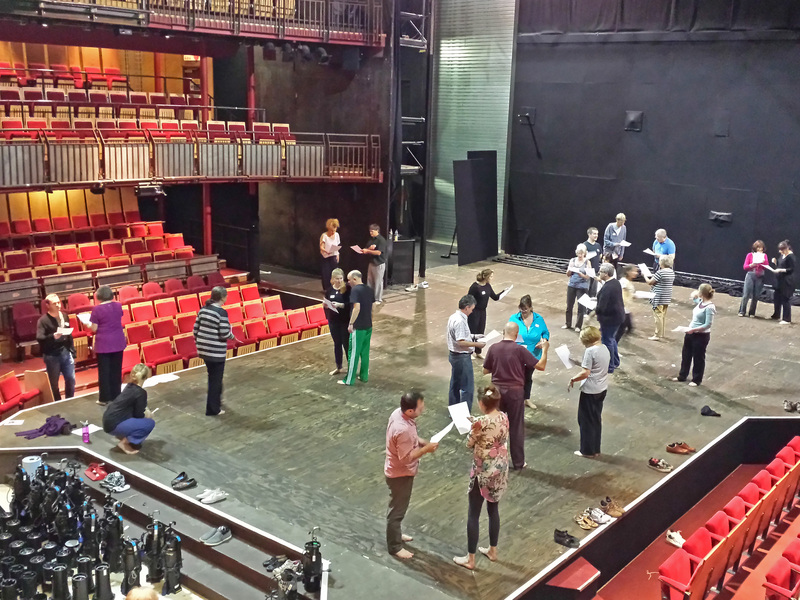 Last Saturday I was at the Courtyard Theatre in Stratford-upon-Avon for the beginning of the Director’s Weekend – the first event in our new RSC Open Stages project. 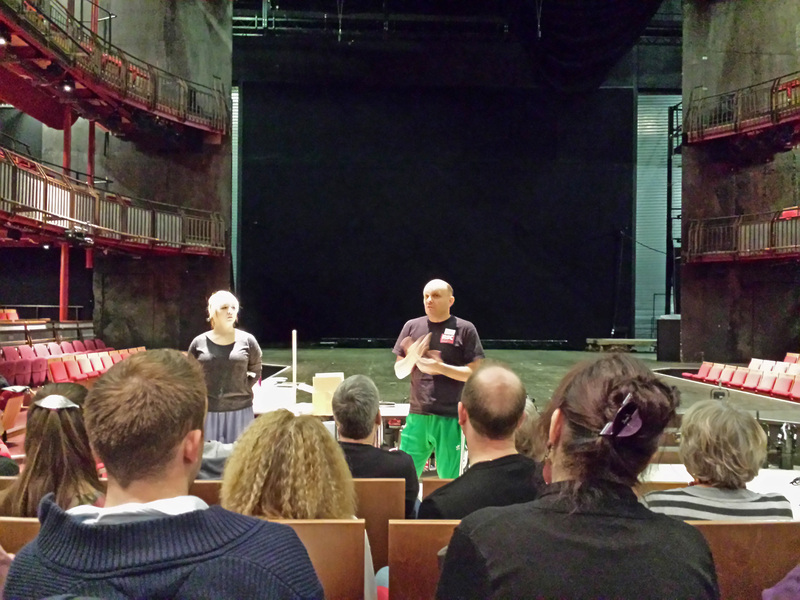 Directors from nearly 100 amateur theatre groups across the UK had assembled in Stratford for a weekend of workshops, skill-sharing and discussions with staff from the Royal Shakespeare Company and our other professional theatre partners. I spoke at the start of the weekend about the role Voluntary Arts played in developing the original Open Stages project and its importance in helping to raise the profile of the amateur arts and bring the professional and amateur theatre sectors closer together. I then sat in on some of the initial workshops (on voice & text – with Michael Corbridge, RSC Voice practitioner; and movement – with Struan Leslie, RSC Head of Movement) which shared approaches and techniques that the Directors could use in their amateur groups as they develop the productions that will be showcased through the new Open Stages project. At lunchtime I spoke to the Directors about our Running Your Group online information services (www.runningyourgroup.org), our Epic Awards scheme (which is open for entries until 30 November, see: www.epicawards.co.uk) and Voluntary Arts Week (which will take place from 9 – 18 May 2014, see: www.voluntaryartsweek.org).